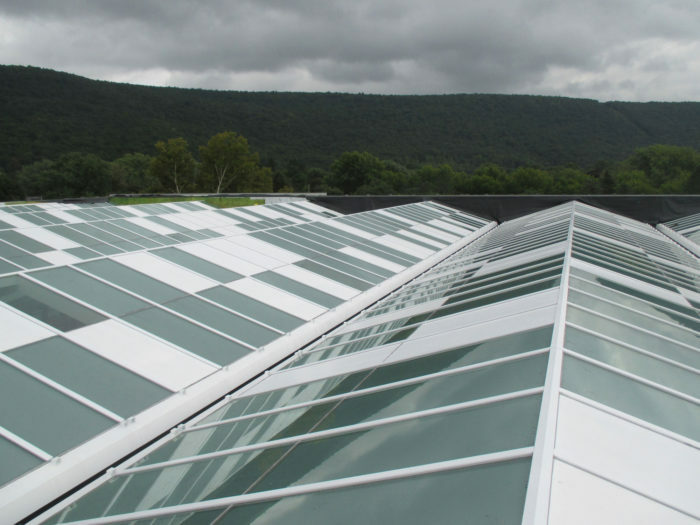 The North Wing expansion of the Corning Museum of Glass in upstate NY is the world’s largest space dedicated to the art of contemporary glass design. 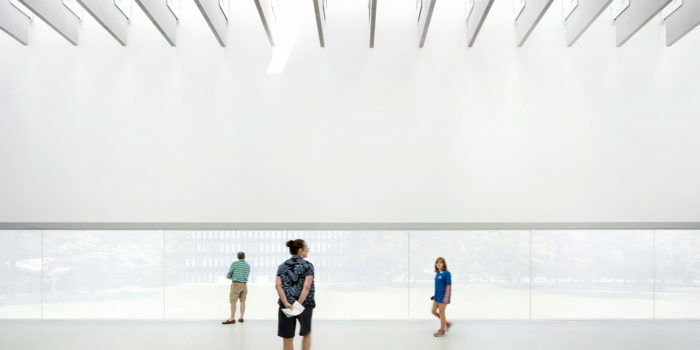 A skylight roof truss structure fills the new gallery space with natural light, while large windows frame vistas of the landscaped campus. 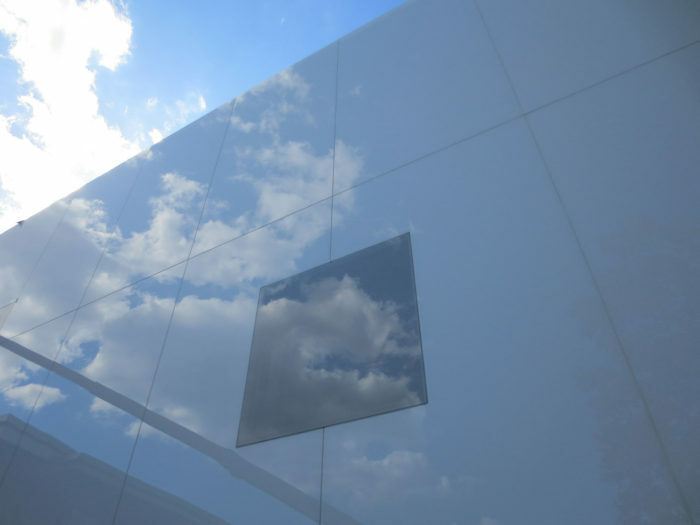 The cube shaped building is both crisp and illusive in its natural setting. 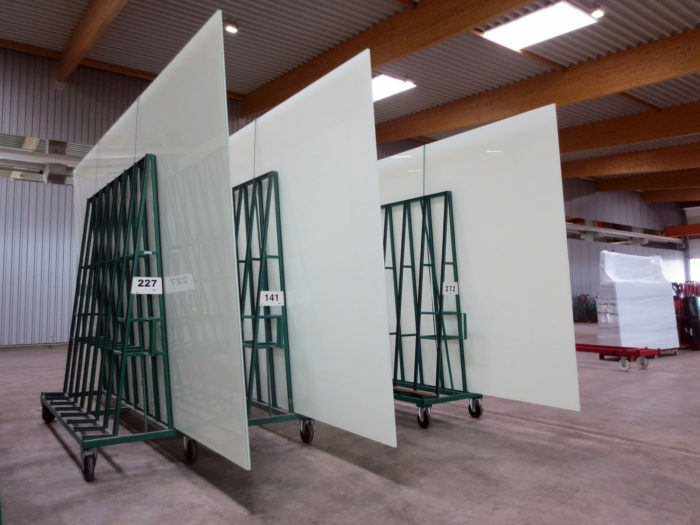 The facade is clad with oversized laminated glass panels with an opaque white interlayer designed with a medium-density dotted frit pattern. 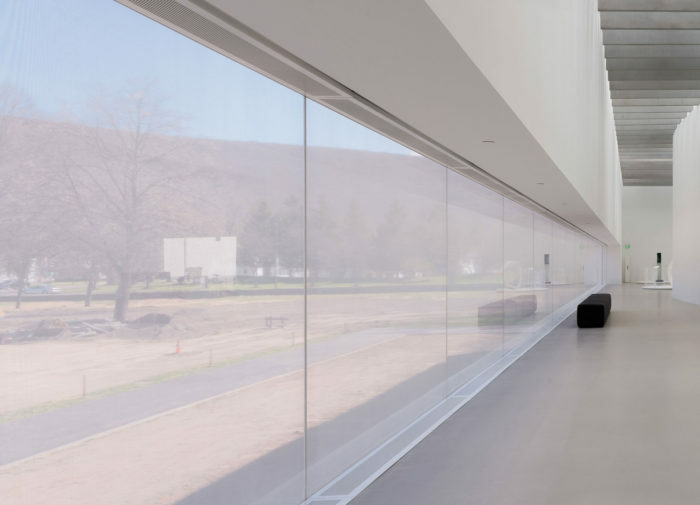 The taught glass skin with minimized joints displays only a subtle variation between the opacity of the wall and the transparency of the viewing openings, while the glass envelope as a whole is reflective of the sky and natural surroundings, blurring the edges of the building itself. 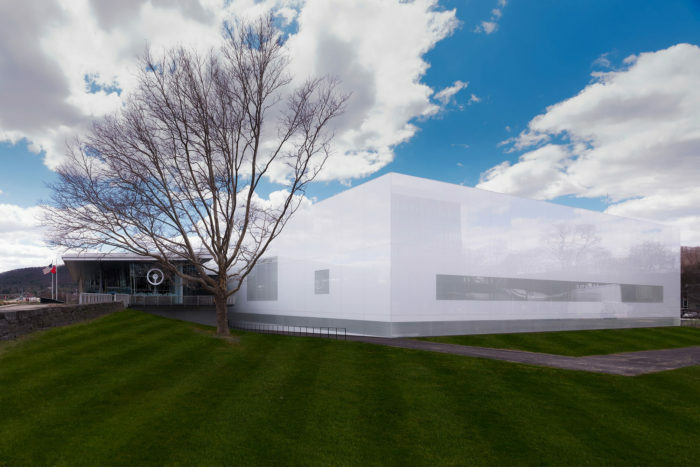 In stark contrast to the soft white gallery building, the ventilator building was updated with a new black corrugated metal cladding system and grey glass windows at the north and south elevations. 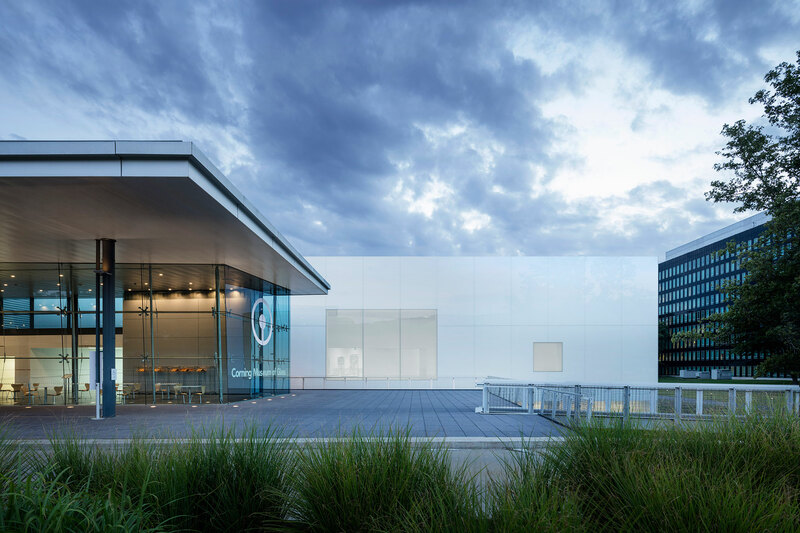 This volume serves as a flexible event space and theater to house the popular Hot Glass Demos. 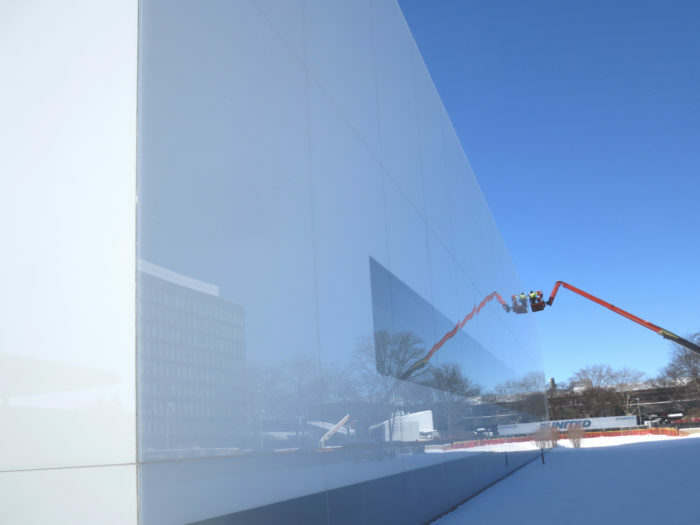 Heintges served as curtain wall consultant for all phases of design and construction. Photographs 1 & 2 by Scott Frances/OTTO; Photographs 3 & 4 by Whitney Starbuck Boykin; Photographs 5-8 by Heintges.